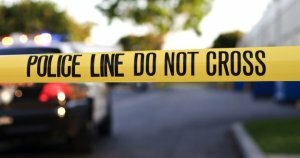 YouTube Star Kills Mom, Daughter In Fatal Crash | Schuler, Halvorson, Weisser, Zoeller & Overbeck P.A. A YouTube star driving the wrong way on a Broward County freeway smashed into a SUV and took three lives, including his own. The 18-year old, was apparently in a troubled state when he drove his sports car south on the northbound I-805 and killed a 43-year old, and her 12-year old daughter, Florida Highway Patrol officials said. Police had responded to the teens home earlier that day after his dad said his son sped off, hitting another car. He then smashed through the gate of an elementary school and broke a window before driving away, Florida Patrol Officials said . The 18-year old had gotten rich on video gaming, The Post said. The 43-year old mom and her daughter were going to Hobe Sound in Martin County to get contact lenses for the 12-year old when their lives suddenly ended.